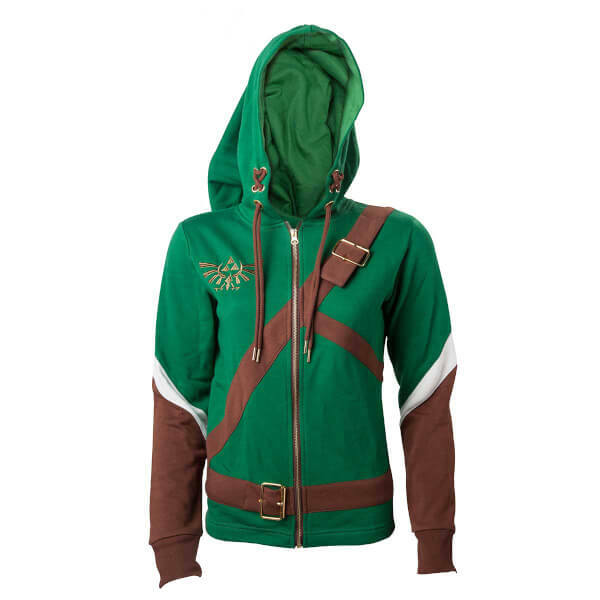 This The Legend of Zelda - Women's Link Cosplay Hoodie is available in a range of sizes (from Small to XL) and features a belt design across the chest and around the waist, Hyrule Crest logo on the breast and Hylian Shield on the back. 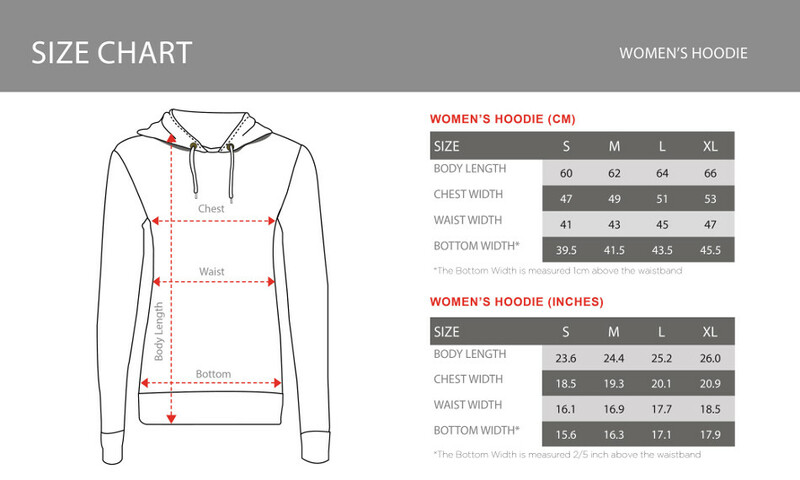 This brown and green long sleeved hoodie is machine washable. 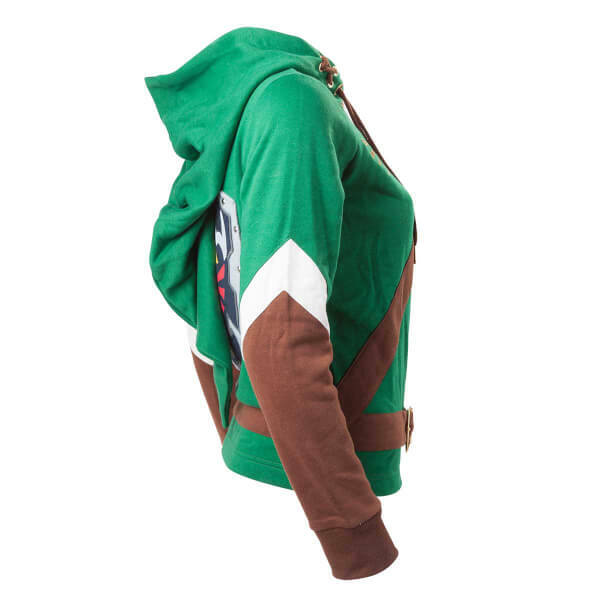 This The Legend of Zelda Cosplay Hoodie is perfect for any fan who longs to be Link. 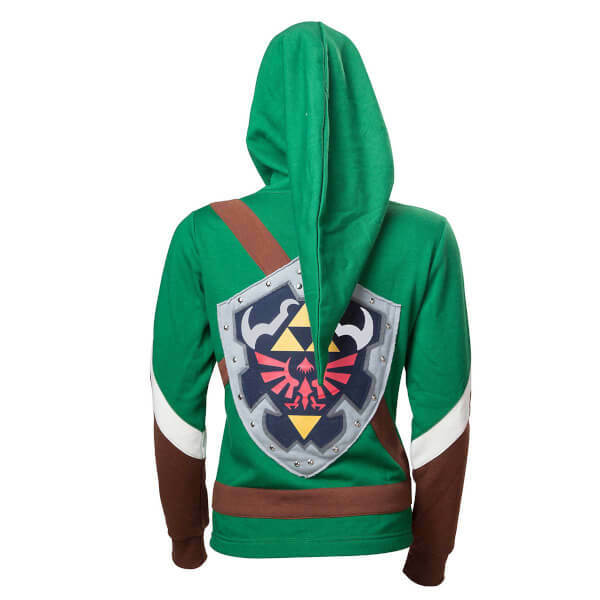 Featuring a belt design across the chest and around the waist, Hylian Shield on the back and long hood, you're sure to look the part. This is a great hoody, top quality and worth the money. Looks exactly like the picture. I got a size S (small) it fits my 11 year old daughter perfectly. Great product. Only quibble is that size is pretty small. Im size UK 6-8 up top and it is a little tight. Brilliant item to have for any Link fan.